White’s Bakery, which has been teasing Wellesley for months about when it will start selling its goodies here, has disclosed that April 3 will be its grand opening. We’re going to hold them to it. The Wellesley Hills location is at Playhouse Square at 380 Washington St. 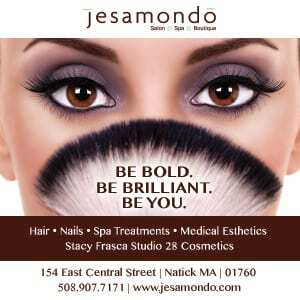 The opening will come on the heels of Fiorella’s long-awaited opening at the other end of Wellesley this past weekend. Expect White’s to bring to Wellesley all the yummy things they offer at their other locations in Brockton, Hingham, and Mansfield: breakfast items such as muffins, danishes, and croissants; sweet treats; artisanal breads, pies, cakes, and tortes as well as savory lunch items like calzones, pastas, and paninis. 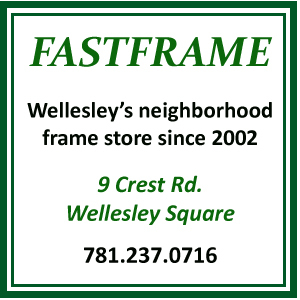 The Wellesley shop won’t have a cafe side (like the Brockton store) that has a lunch service, but it will have a deli showcase with prepared foods such as seasonal pasta salads, chicken cutlets, lasagna, arancini, eggplant parm, etc. There will be a seating area in the shop so customers can enjoy their treats in-house. OK, OK, OK Swellesley readers, you can stop e-mailing us to ask about when Fiorella’s Express will open in Wellesley. Yes, we broke the news about the fast casual Italian eatery coming to Wellesley back in July, but let it be known the Fiorella’s has now opened. In fact, I swung by 575 Washington St. at the corner across from Barber Walter’s, met the general manager and bought a couple of overdue gift cards for my Fiorella’s fanatic neighbors whose babies really aren’t babies anymore. Patrons had already started streaming in when I swung by on Thursday night. A promotional bicycle leaning against the building, formerly occupied by Susu Bakery, and a paper sign on the door, alerted people that Fiorella’s was open for business. Once the restaurant gets cranking it will be open from 11am-10pm daily, with take-put, catering and delivery as options. The menu includes a wide selection of antipasti, insalata, pizza, calzones, pollo, and sandwiches/wraps. Dessert, too, including tiramisu and creme puffs topped with chocolate mousse. Pizzas start at $6 for a small cheese. Large ones can run you $20, plus $2 apiece for extra toppings. Fiorella’s, which has both express and full-service restaurants, has other locations in Belmont, Brighton, Newtonville and Concord. It recently shuttered its Cambridge location..
Fiorella’s is the winner in the race to open first with White’s Bakery, which has been threatening to open at the other end of town for months, and now hopes it will do so in the next few weeks. The sign pretty much says so. When White’s Bakery opens at Playhouse Square in the new year, it will become the latest business in Wellesley to boast a colorful name. 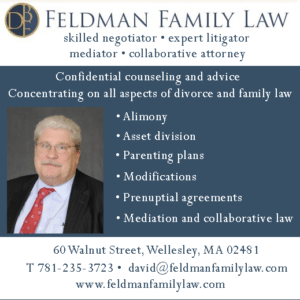 We used to have at least a couple of other businesses with “White” in their names: formal wear specialist Read and White, now in Needham, and White Mountain Creamery, which melted down in 2014. White’s Bakery gets its name from David White, who opened his first bakery in Florida in 1980, then opened his first shop in Massachusetts in the late 1980s. 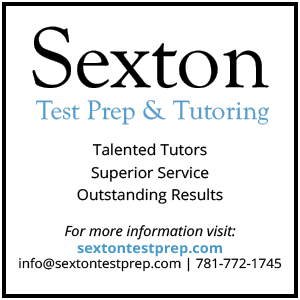 Other businesses emphasize colors in their names or logos for marketing purposes. White indicates lightness or purity, blue means loyalty and trust, and green means freshness and natural, for example. But don’t get the blues about Blue Ginger being no more. There’s still the Tsais’ other restaurant, Blue Dragon, down in the Seaport District in Boston. We also have Bluemercury in Linden Square to keep you pretty. Shockingly, Blue Hills Bank is about the only bank brand not in town. One other blue business: a Chinese restaurant called Blue Sky that reportedly had cheap chicken wings, according to a Facebook commenter who recalls the business being around in the 1970s. Tamara’s Golden Needle, across for Whole Foods on Washington St., continues to handle sewing and alternation needs. 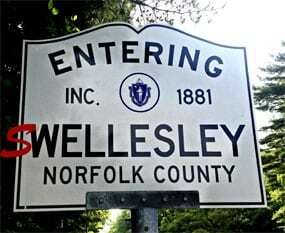 Not surprising that Wellesley would be in the green. We’ve got Green’s Hardware fighting the good fight vs. the big box hardware stores over on Rte. 30. Tom Green started the business in 2005 in the same space where his parents ran Green’s Stationary for 40 years. Sweetgreen in Linden Square will keep you supplied in… greens. …and Lux Bond & Green will keep you in bling. Morris Green opened his first jewelry store in the late 19th century. There are also the Wellesley Green condos on Grove Street. Red Apple Convenience disappeared in 2018, and papered-over windows remained at 540 Washington St. heading into 2019, while RedPoint Global, a software company that gets its name from a sports climbing term, quietly goes about its business in an office park along Washington St., in Lower Falls. Also gone from Wellesley are Tobey Grey, a Linden Square fashion shop that also had a couple of other names, and Pinkberry, part of a froyo chain that spent 6 years in Linden Square. Orangetheory Fitness is helping to keep you buff in Wellesley Square by getting your heart rate into the orange zone. My lower back is sore, carpal tunnel syndrome I didn’t know I had is flaring up, and I need to run my sweaty T-shirt through the heavy duty cycle. I’m not complaining though. That’s all the result of having a great time at the new Versus arcade/bar/restaurant in downtown Boston over the weekend playing everything from Hoop Fever to skee ball to dome-top stick hockey and a bunch of old school video games like Centipede, Galaga and Ms. Pac-Man. Plus lots of pinball, including Aerosmith, Ghostbusters and Iron Maiden. Mrs. Swellesley, Swellesley juniors and myself climbed the stairs to Versus on Saturday afternoon not long after the Province Street venue’s 4pm opening that day, and found a lively though not crammed bar full of game players and football game watchers already starting their nights. While Versus is a bar, kids are welcome to play the arcade games until 8pm, too, and we saw plenty of families mixed in with city night-lifers. And why not? For $5, you get unlimited game play. That’s got to be about the best deal in town. You can shoot for the 10,000 point hole in skee ball with reckless abandon, knowing you don’t need to keep forking over money for tokens (Versus is a token-free zone). There was plenty of turnover by game users the day we went, so while it was a bit tough to squeeze in at the dome-top stick hockey table (the world’s greatest game without question), it was easy to get more than 1 turn at everything else. The kids tended toward some of the driving games, I hunkered down at the basketball game, and Mrs. Swellesley displayed her pinball wizardry. The decor is fun, featuring nerdy throwback super heroes and paintings of celebs like Carrie Fisher. The music is loud, and exactly the sort of early hip hop and hair band rock you’d expect at a retro place like this. Eazy-E’s “Boys-N-The-Hood” cranked while we ate dinner. The menu is nothing glamorous, but you can down burgers, hot dogs, pizza and more. Everything’s under $20, and beers range from $4-$7, with wine by the glass starting at $10. My cheesesteak was tasty (complete with Velveeta) and came on a Frisbee, with crinkle fries on the side. Others in our party had their meals served in old-timey lunch boxes. The staff was friendly and professional. Truly, it all felt like a bit of paradise. Though actually, two of us wound up making our next stop the Paradise rock club near Boston University to catch a concert by Hop Along. A full, fun day and night in the big city that was worth the trip. The newest restaurant in Wellesley is about to open its doors. Door No. 7 in Linden Square is nearly ready to introduce all comers to an upscale restaurant and lounge experience that will emphasize small plates, a raw bar, and craft cocktails, all served up in a classy and sleek atmosphere. It’s friends and family day on Saturday, December 29th, meaning a table is available by invitation only. Then Door No. 7 will be open to all, table availability willing, on Sunday, December 30th. After that, they’re closed Monday, December 31; and Tuesday, January 1, presumably to avoid the double madness of opening a new restaurant and serving on high-expectation days right from the get-go. Door No. 7’s interior was designed by celebrity interior designer Taniya Nayak, who you might know from HGTV and the Food Network. She and her Boston-based firm also handled the 2018 renovation of The Cottage, a project that was all about revamping a much-loved spot by creating a warm and cozy New England atmosphere. Nayak has taken Door No. 7 in a different, sleeker direction. The palette is neutral throughout and the lines are defined. The dining-room seating lends a mid-century modern look to the space, but it’s no time capsule to the past. There’s bleached wood paneling and a floor that’s part polished concrete for the cool factor and part carpeted for sound absorption. The ceiling is designed to further neutralize the clatter and conversation that Wolfe is counting on as part of the sophisticated party vibe she expects to be a nightly thing. “We wanted the restaurant to feel a little bit more urban than The Cottage or other restaurants in the area,” Wolfe said. When you walk in, the 15-seat bar and that area’s accompanying ten or so tables are right there. Scan the scene, there’s bound to be someone you know. Also check out the liquor lockers, a new concept to me but perhaps not to more sophisticated Wellesley-ites. The idea is that a customer can rent a locker, fill it with whatever Door No.7-provided spirits they love, and their private stock will be there waiting for their next visit. The bartender will personally help with customers’ selections, which perhaps might not be regularly available behind the bar. This “bottle keep” system will be available to about 30 customers, and the fee structure hasn’t yet been set. Maybe if you get in on the ground floor, you could have some input on that. Co-owner and Wellesley native Laura Wolfe, seated in the bar area. Note the liquor lockers on the wall behind her. For the nameless, faceless many of us who will not be renting a locker, look for specialty cocktails with a Prohibition-esque feel to them: A Dangerous Man is mixed up with bourbon, rye, faro amaro, kummel mist, and angostora bitters. The 21st Amendment has bourbon, wood roasted beet and thyme syrup, citrus, and falernum. There is also a wine list; a rotating selection of draft beers and offerings in cans and bottles; and sangria served seasonally. As for the food, that’s the domain of executive chef Peter Hansen, who once did a short stint on Iron Chef. Hansen handles the menus of all four of the Wolfes’ restaurants, and he will be primarily stationed out of Door No7. “That’s pretty exciting to us and to many of our customers who know all about the amazing things he puts together,” general manager Kayin Peters said. She also noted that over half of the menu items are gluten free. Raw bar is a big part of the menu and includes oysters, littlenecks, and shrimp cocktail, of course. Also look for scallops cerviche served with smoked tomato, lime, cilantro, and sweet onion; salmon poke with Hawaiian flavors and taro chips; and Maine lobster and avocado with watercress, horseradish, and lime. Small plates on offer include tempura fried shrimp roll with sweet and spicy chili sauce, roasted peanuts, and baby shrimp; foie gras sliders on house-baked Parker House-inspired rolls with red currant jam, pickled onions, and maple butter; and pomegranate glazed brussel sprouts with toasted hazelnut and local cranberry goat cheese. Large plates include roasted half chicken with 15-layer taleggio potato, bacon roasted brussels sprouts, and porcini-infused bone broth; Scottish organic salmon, lightly smoked, served with root vegetable lasagna, baby frisse salad, and Meyer lemon vinaigrette; and a burger made with locally sourced dry aged beef topped with aged amish cheddar, lettuce, tomato, onion, and pickle, on a buttered brioche and accompanied with rosemary parmesan fries. Hansen’s kitchen isn’t wide open to the dining area, but you can glimpse and hear the bustle. It’s all part of the urban feel Door No.7 is striving for. There may be some who will sniff at its suburban location, but everyone else will appreciate the ample parking and the feeling of being transported to a different, cooler reality once they enter the space. When you walk through the first door, look up. I won’t spoil the surprise, but it’s totally fun. Also, don’t miss the pictures of famous actors standing in doorways (get it?). There’s Clint Eastwood, Vivian Leigh, and Elizabeth Taylor. For the life of me, I couldn’t figure out who that was in the ladies restroom, and then couldn’t believe it once I was told. Another surprise that awaits you.